1. Ensure the wheel has been correctly fitted according to the vehicle manufacturers’ instructions. 2. 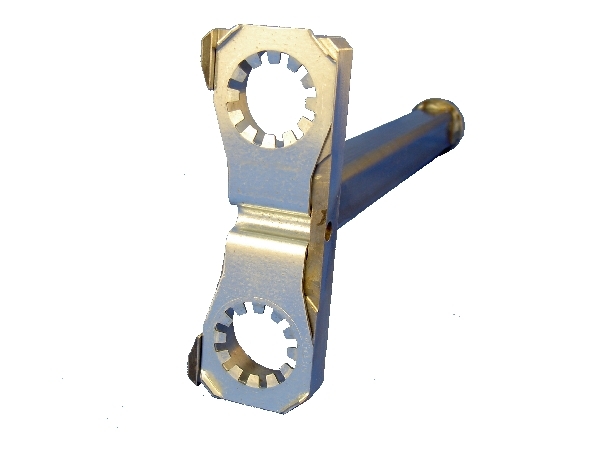 Ensure you have the correct sized Rollock locking clamp and fitting tool. 3. Insert a clamp into the head of the fitting tool. The high-power magnets in the centre of the tool will hold it in place until fitting begins. 4. 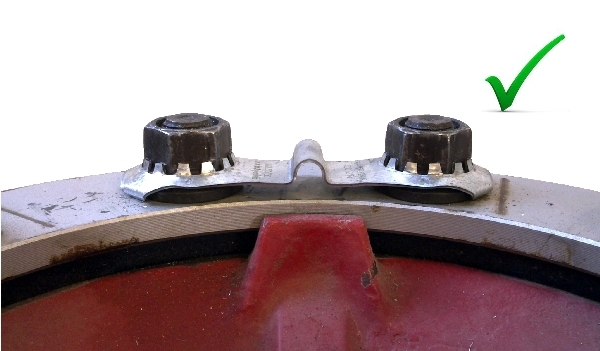 Place the tool with the clamp over the centres of two wheel-nuts. Note: The teeth on the clamps are angled slightly to help you feel when they are centred over the nuts. 5. Using a good sized hammer (e.g. 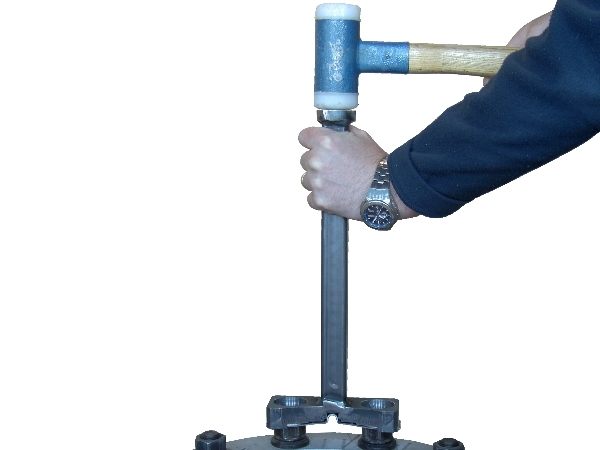 1,5 kg / 3 lb), firmly strike the end of the Rollock fitting tool to start driving the clamp onto the nuts. For best results, use a “dead-blow” hammer with plastic faces. 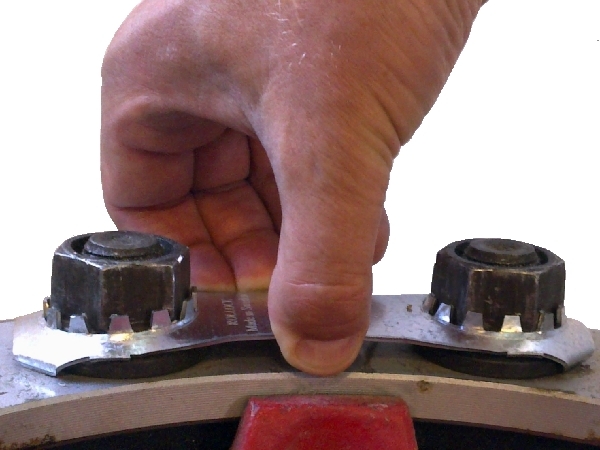 Particularly on larger nuts sizes, it may take several hammer strikes before the clamp starts to pass onto the nuts. 6. 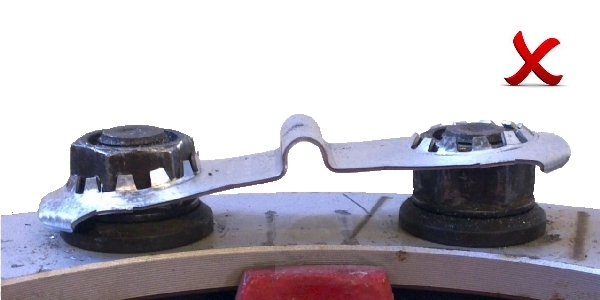 When the clamp starts to pass onto the nuts, take care that both ends of the clamp start evenly (i.e. keep the tool at 90o to the wheel-surface). If it starts to go to one side, compensate by holding the tool towards the opposite side. If it starts to go to one side, compensate. 7. Continue to drive the clamp on, until it is fully home against the wheel-nut flanges. 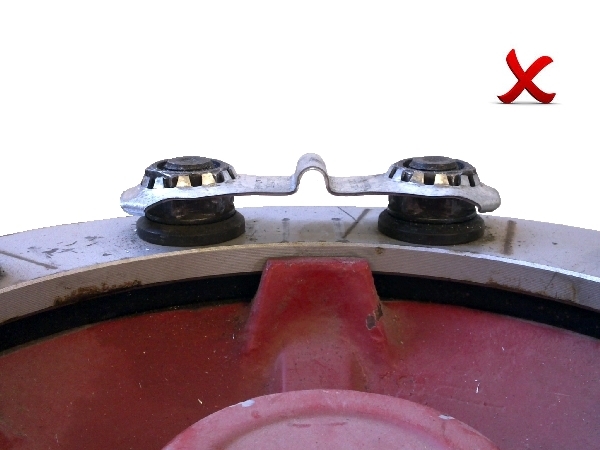 Note: When the Rollock clamp is against the nut flanges, take care not to try driving it on tighter – as this may force the clamp’s teeth to open and loosen its hold. Pull to check that it is fitted correctly. 8. Pull on the clamp with your fingers to check that it is fitted correctly. 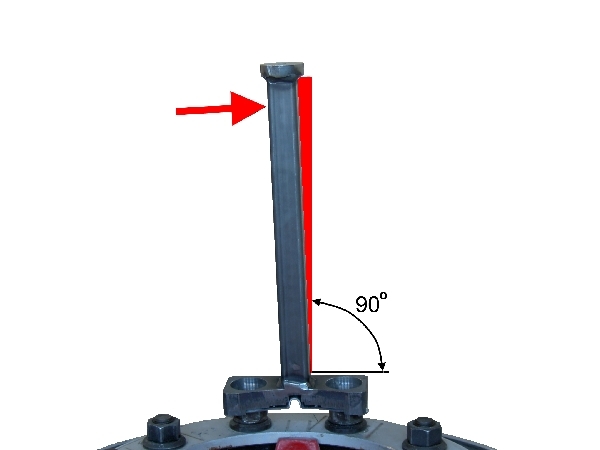 If any movement can be felt, the clamp is NOT correctly fitted. If you have any questions about Rollock, or would like more information, please do not hesitate to contact us.